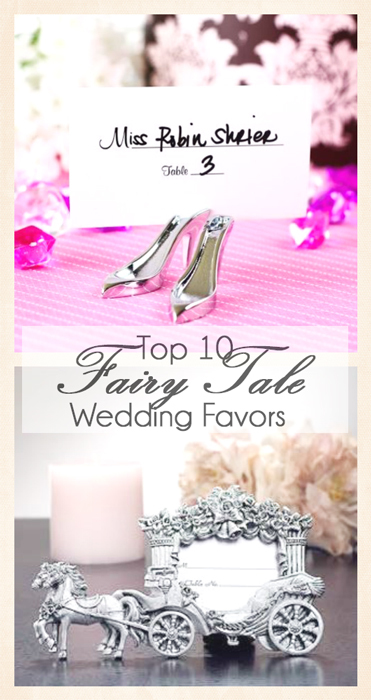 Here are the perfect Cinderella Wedding Theme favors for your wedding! 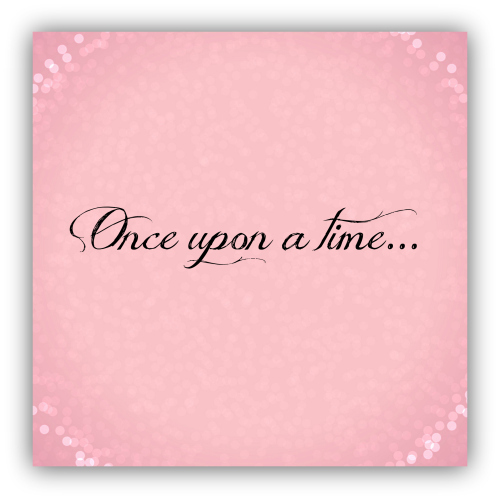 There isn’t a more enchanting wedding theme than this one. This theme couldn’t be more fitting for a wedding. I love this theme and love all the favors and decorations that go with it! 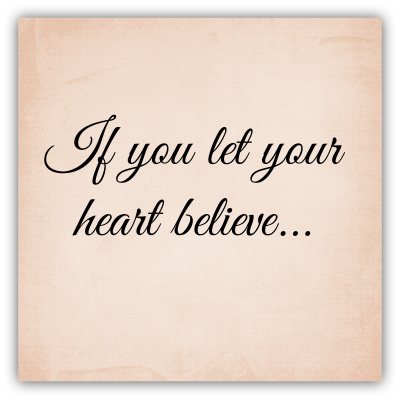 These sayings would go perfectly on a table somewhere or on a hanging sign right as guests walked through the door. 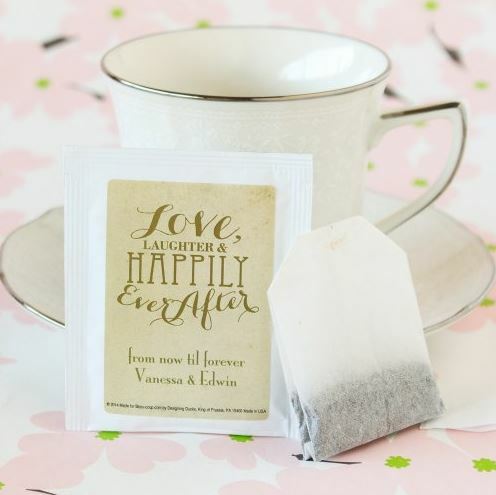 Personalized Wedding Tea Bag Favor - These are very popular on Beau-Coup's website. They are highly rated as well! It's a favor that guests will take home and use, it's cute and it's personalized...a perfect combo! 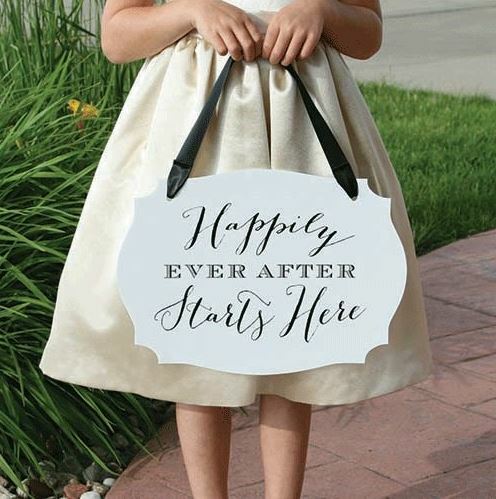 Happily Ever After Sign - I just think these signs are so cute! There are several signs like this available on Beau-Coup's website and this one is perfect for this theme! 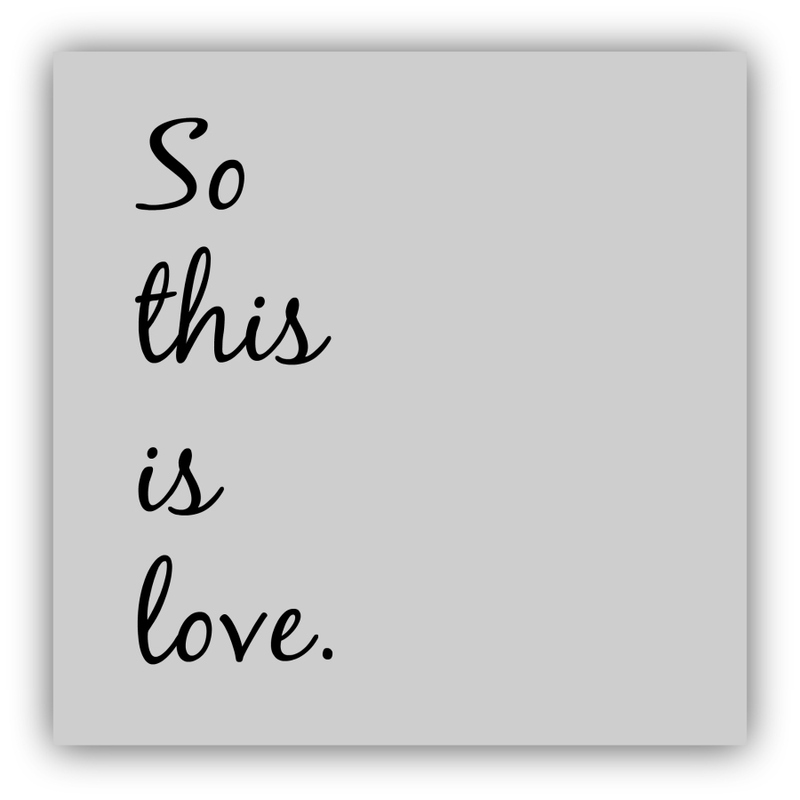 Send someone to walk with this sign down the aisle ahead of the flower girl and ring bearer. 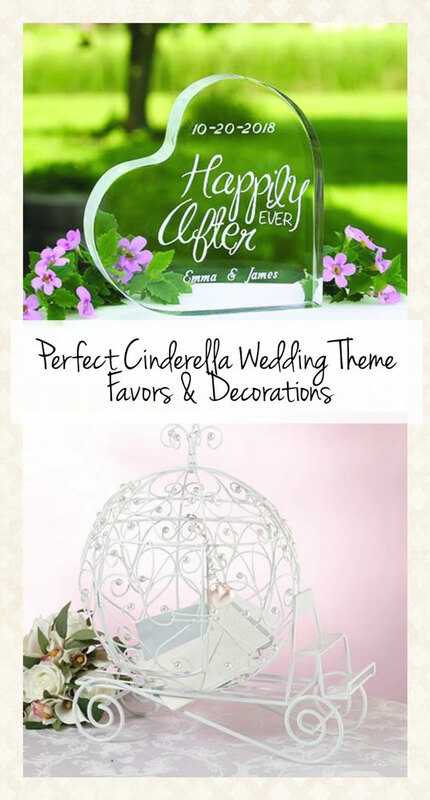 Or hang on a tree or sign holder right as guests enter your reception. 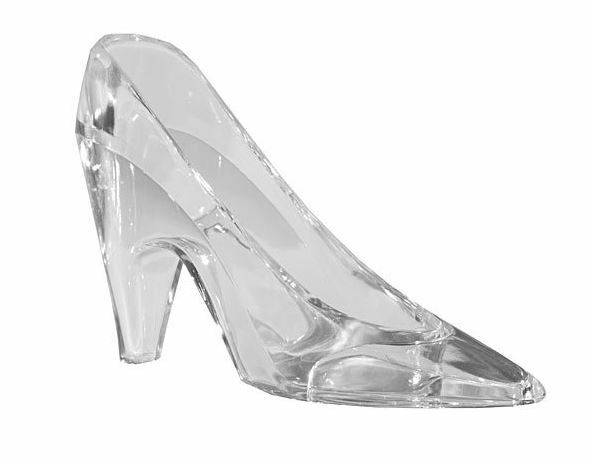 Glass Slipper Party Favor, 24 count - These mini glass slipper favors are great filled with little candies and wrapped in cellophane. *Note: these are made of plastic, not glass. 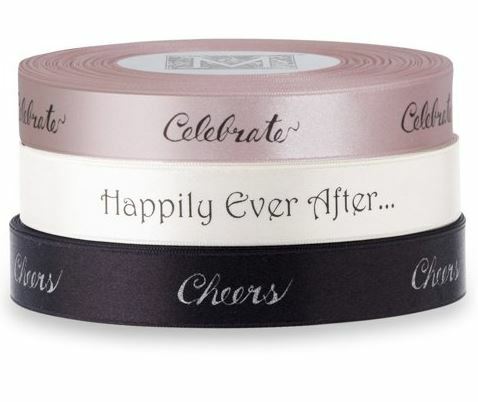 Satin Sayings Ribbon - This ribbon is great for tying up cellophane wrapped around a favor. Or you can wrap it around boxes or tie it to vases of flowers. An elegant finishing touch! Coach Card Holder - This is so cute! 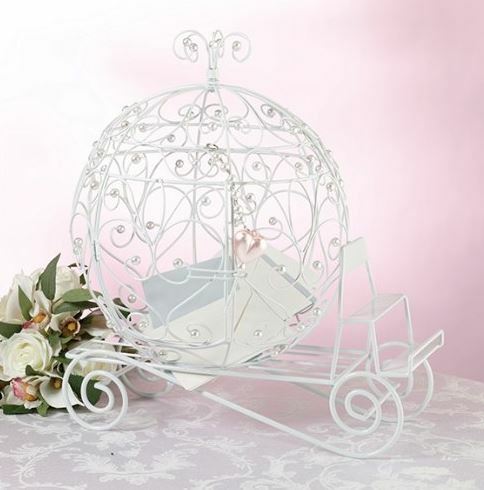 Not only does it have functional purpose of holding cards, but it also adds to the Cinderella Theme Decor quite nicely. 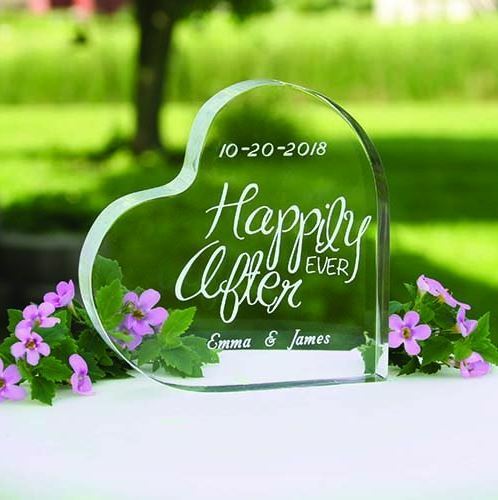 Personalized Happily Ever After Cake Topper - OK this is probably my favorite decoration out of all the Fairy Tale and Cinderella Themed decorations! I would have had this on my cake if it was available back then. 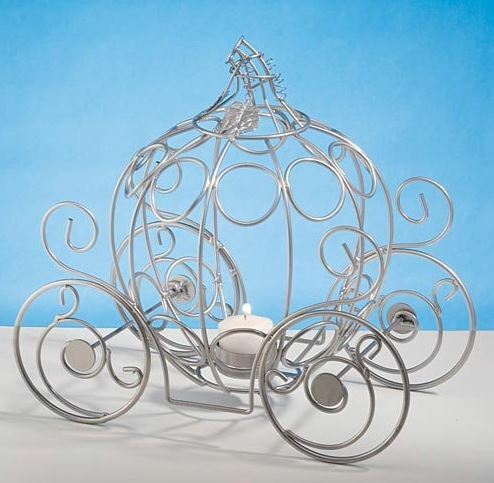 Fairytale Carriage Candleholder - This would be perfect as a centerpiece on the guest tables or on the refreshment table.